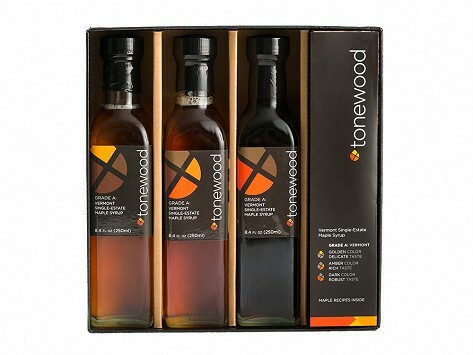 This Syrup Grade Collection represents the range of color and flavor intensity available in maple syrups. Enjoy exploring the distinctive qualities of each grade as they complement and enhance the gourmet tasting experience. Dimensions: 9" x 8.5" x 2.5"
It comes in a very attractive package and made a great gift.